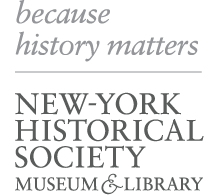 These workshops are an excellent introduction to the New-York Historical Society’s approach to historic inquiry and an ideal place to start for those who have not worked with us before. Learn how to bring artifacts into the classroom and engage students of all ages in the work of historians. Engage in a hands-on activity using historic “touch objects” of items from our collection, and discuss how to replicate this experience in your classroom using everyday objects. Practice strategies for expanding your students’ understanding of history through visual inquiry. View original masterpieces from our Museum’s vast collection, and engage in a study of portraits, landscapes, and cityscapes that will unearth the stories hidden within the artwork. Practice techniques for combining picture books and primary sources to help students increase historical content knowledge, strengthen literacy skills, and build excitement for the past. Learn techniques to support students as they engage with challenging historical texts—a vital and sometimes frustrating part of learning history. Practice strategies for pulling apart complicated documents and making meaning of archaic language. Explore maps from the Dutch colonial period through the 20th century to track the growth of our city. Work with colleagues to create a map-based timeline of New York City history, and come away with strategies for strengthening your students’ map-reading and visual analysis skills. Learn how to thoughtfully combine historic inquiry with the visual arts in your classroom. Inspired by our innovative Art of History school program, this workshop includes both the analysis of historic primary sources and a related hands-on art making activity. Complete our Custom Professional Learning Request Form to get started, including requests for workshops on other topics, themes, or techniques. Questions? Contact professional.learning@nyhistory.org or 212-873-3400 ext. 510. Read descriptions for the Content Workshops.